Everyone knows you can't be a powerful witch without the right footwear! Marvel's Scarlet Witch, Oz's Wicked Witch of the West, and even Hogwarts's favorite muggle, Hermione Granger all had one thing in common besides the ability to use magic. What's that, you ask? Well, it is, of course, their exceptional shoes! So if you want to play in the big leagues and become a real master of witchcraft then you better grab these Witch Shoe Covers, stat! Before you start memorizing spells and gathering all the ingredients needed for magical potions, make sure you have the proper attire to be a witch. If you don't look the part there's no way the Witch's Council is going to let you keep practicing your sorcery. So grab a creepy black dress and make sure you have the classic pointed witch hat! Get your hands on an accessory or two like either a fast flying broom or a magic wand. 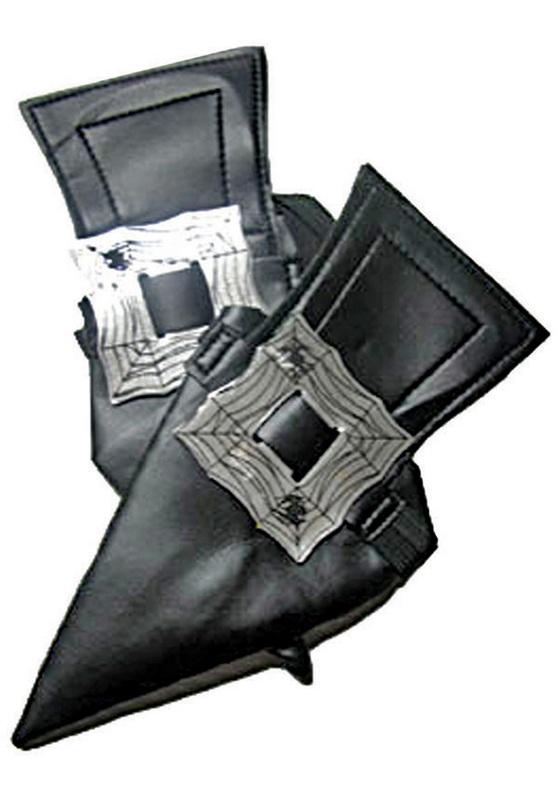 Then complete your new look with this set of Witch Shoe Covers! You'll look hauntingly magical from head to toe!